Now Leasing. Limited Selection Remaining! Luxury 1 & 2 Bedroom Apartment Homes in the heart of Kansas City's River Market. Phase II coming soon with all new amenities. Set in the picturesque River Market District in Kansas City, and backdropped by the Missouri River, RM West is a hub of accessibility and luxury in one of Missouri’s most sought-after neighborhoods. RM West is home to the best in modern luxury. Our pet-friendly one- and two-bedroom apartments and lofts are the perfect fit for any lifestyle. Whether you enjoy staying in with a nice book, or venturing from one sight to the next, our apartments will accommodate you. From the breathtaking attention to detail, to the overarching themes of its design, RM West creates an aesthetic that exudes luxury and class. Find your new favorite hotspots using our concierge services, or get together with friends at our poolside fire pit lounge and BBQ pavilion. Stay in for a relaxing movie night, or just take a moment on your way out to admire the city and river views offered at our apartments. However you live your life, live it better here. When you’re at RM West, you’re only steps away from the eclectic shops and restaurants of River Market. This historic and scenic destination is home to shopping, farmers markets, quality dining and coffee stops, and so much more and it is all in your backyard. The entire city opens up for you with quick access to the new Kansas City Streetcar with service from River Market to Union Station. Hop on and you’ll never be far from the excitement of Downtown, or you can stray a little further from home whenever you want with I-35 and I-70 only minutes away. With sophistication of modern design and convenience of a prime location, RM West offers a once-in-a-lifetime living opportunity. Please browse our site to learn more, and if you have any questions give us a call.  Make RM West luxury apartments part of your luxury lifestyle today!